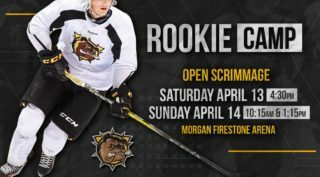 Lots of offense on display as the Erie Otters got out of Hamilton Saturday with an 8-7 win over the Bulldogs. The visitors had the jump in the 1st period outscoring Hamilton 2-1 despite being out-shot 11-9. The Bulldogs goal coming from Isaac Nurse (10). The Bulldogs found their game in the 2nd period scoring three unanswered goals to take a 4-2 lead as DJ King (2), Cameron Supryka (1) and Arthur Kaliyev (37) scored in a span of two minutes and 45 seconds. 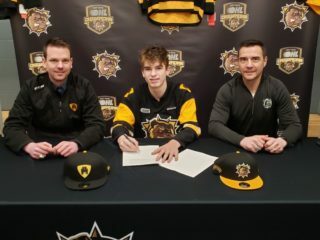 For Surpryka it was not only his first goal as a Bulldog, but also his first OHL goal. Erie would get one back cutting Hamilton’s lead to 4-3. It all went south for the Bulldogs in the 3rd as Erie pumped in five more goals and despite cutting the deficit to one on three separate occasions, Hamilton couldn’t find one more goal to get the game into overtime as the Otters held on for the 8-7 win. The Bulldogs 3rd period goals came from Arthur Kaliyev (38), Jan Jenik (4) and Matthew Strome (22). 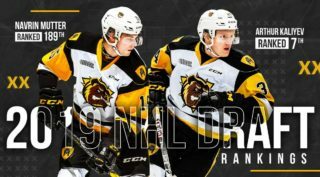 Cameron Supryka (1G, 2A), Arthur Kaliyev (2G, 1A), Matthew Strome (1G, 2A) and Jan Jenik (1G, 2A) all had 3-point games for the Bulldogs. Erie goal scorers were Alex Gritz (6, 7), Brendan Hoffman (7, 8), Gera Poddubnyi (22, 23), Emmett Sproule (8) and Danial Singer (15). 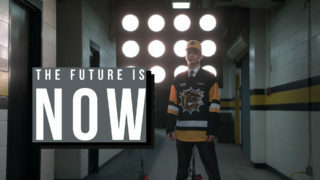 The Bulldogs are back in action at FirstOntario Centre on Saturday February 9th as they host the Ottawa 67’s at 4 pm.